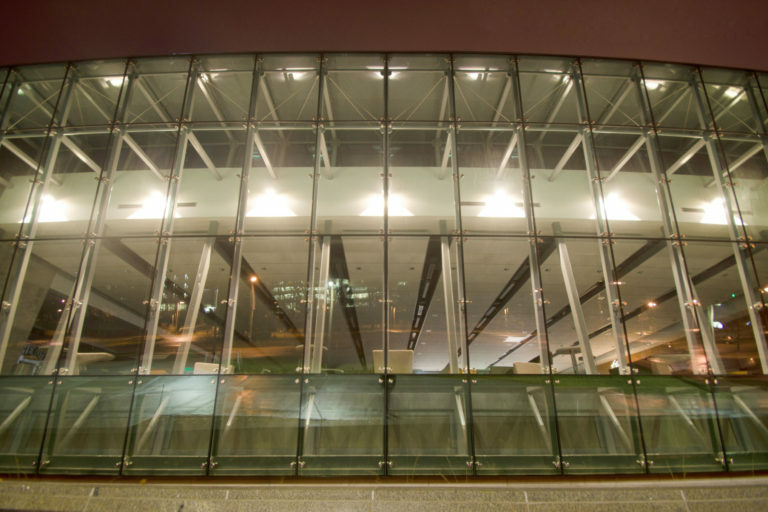 Glass + Mirror Craft has years of experience serving leading glaziers with all forms of Structural Insulated Glass – from laminated, to fritted, to high-performance units. The exacting IG unit dimensions and custom color and pattern requirements, all required under a tight timeframe, made the project challenging. In response, a dedicated Glass + Mirror Craft project manager assembled an in-house team of G+MC engineers, IG specialists, and graphic designers to deliver the glass on time and in kits that simplified installation. Glazier Reliable Glass Installers chose Glass + Mirror Craft to fabricate the insulated glass for The Foundry, a 52,000 square foot creative incubator built on the Herman Miller Living Office® concept. 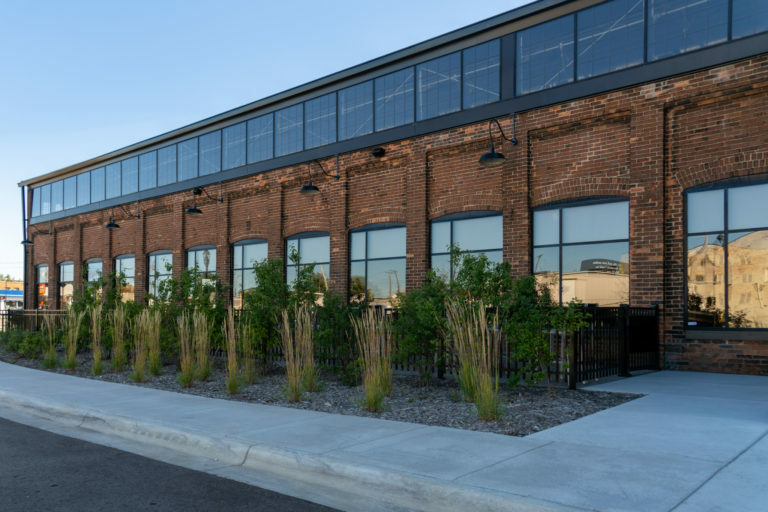 The site consists of a former gray-iron foundry and steel fabrication facility in Kalamazoo, Michigan, and new construction integrated with it. G+MC brought The Foundry to life by using SunGuard SN 54 coated glass in the insulated glass units. This perfect combination of performance, tint, and clarity perfectly compliments the buildings exposed girders and artful meeting and breakout areas. The result is one of the most engaging working environments in Southwest Michigan. As with all insulated glass projects, Glass + Mirror Craft delivered the IG units in kits packaged to minimize handling of the glass and flow installation. 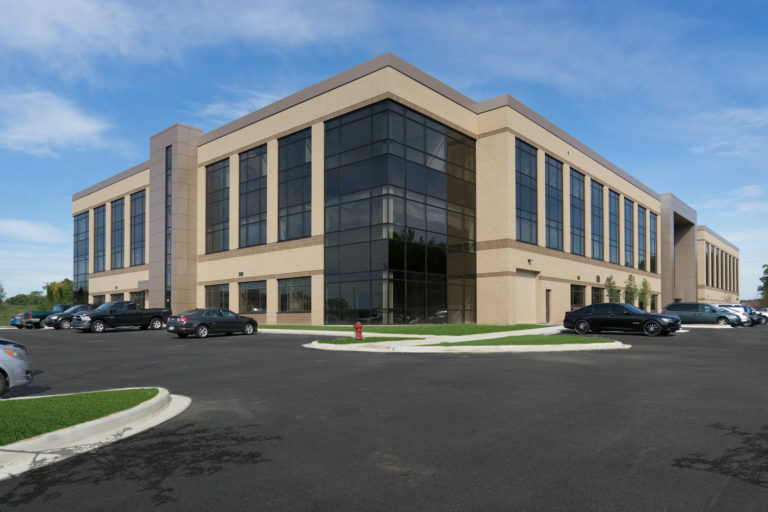 Edward’s Glass Company contracted Glass + Mirror Craft to provide the insulated glass for this confidential facility located in Michigan. 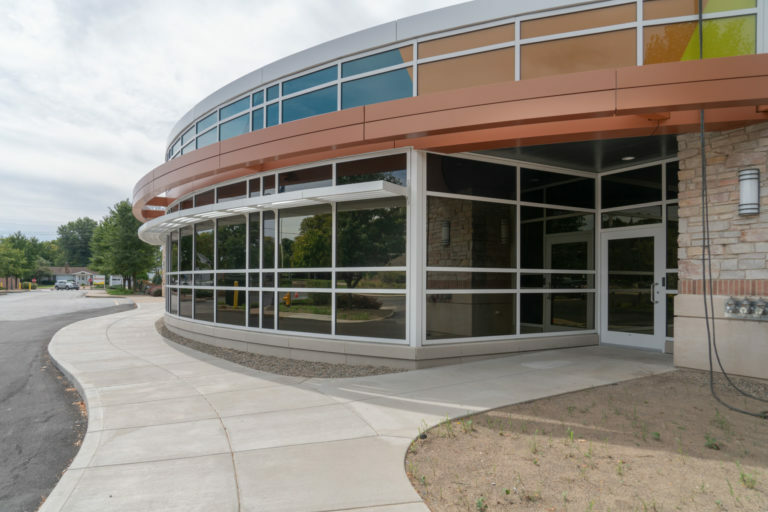 G+MC delivered several thousand square feet of custom-pattern, fritted, high-performance insulated glass units. The frit pattern, allowing 50% light, combined with Guardian’s premium SNX6227 on Ultra Clear, provides optimum functionality and clarity. Within the building, Glass + Mirror Craft engineered glass wall partitions and a stunning glass vestibule. Cuda Metals, a Division of G+MC, manufactured custom stainless steel hardware for the interior glass structures. G+MC delivered these architectural systems with stamped drawings, and kitted each to facilitate installation. 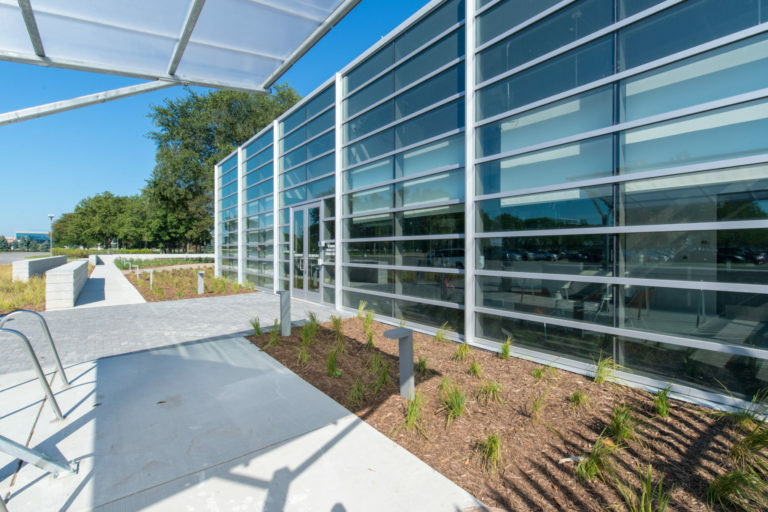 highly efficient, and cost-saving green building that could be LEED Silver certified. LEED, or Leadership in Energy and Environmental Design, is the most widely used green building rating system in the world. 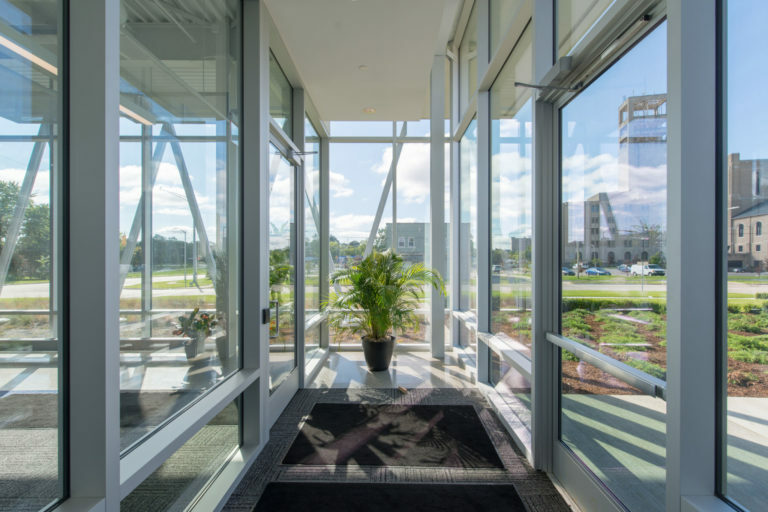 With this daunting mission, Auch selected Edward’s Glass Company as their glazier, and Edward’s turned to Glass + Mirror Craft to fabricate the insulated glass walls integral to the buildings stunning design. Glass + Mirror Craft fabricated the insulated glass units by combining two coated glass types – Sn68 and ISO20 – for maximum clarity and outstanding performance. As always, G+MC delivered the units in kits to simplify and speed installation. The final result is a new jewel for the Flint region. 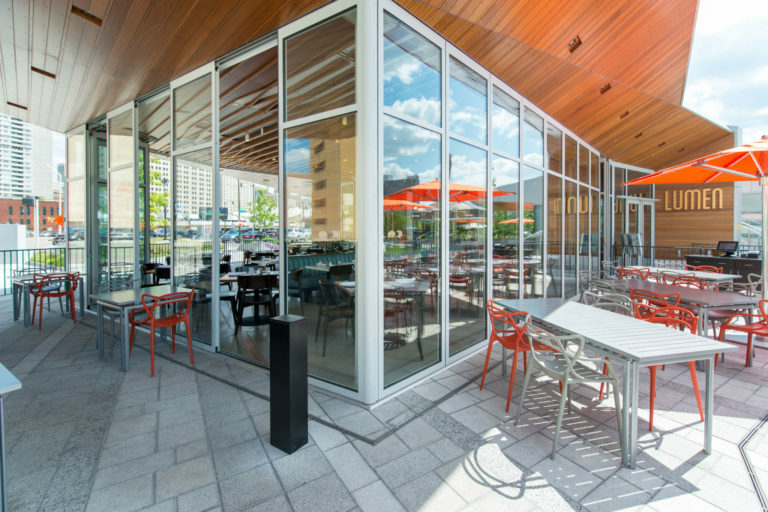 Edwards Glass Company chose Glass + Mirror Craft to fabricate a folding insulated glass wall system for The Lumen restaurant in Detroit given G+MC’s exceptional understanding of high-performance glass. After researching the requirements of the installation, G+MC created the glass wall by combining N78/65 over clear tempered glass, providing exceptional strength and clarity. G+MC also provided a custom glass entrance system that was integrated into the wall. 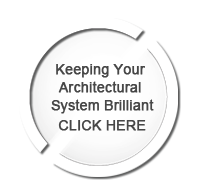 The entire architectural system was delivered with stamped drawings, and the system kitted to flow installation. 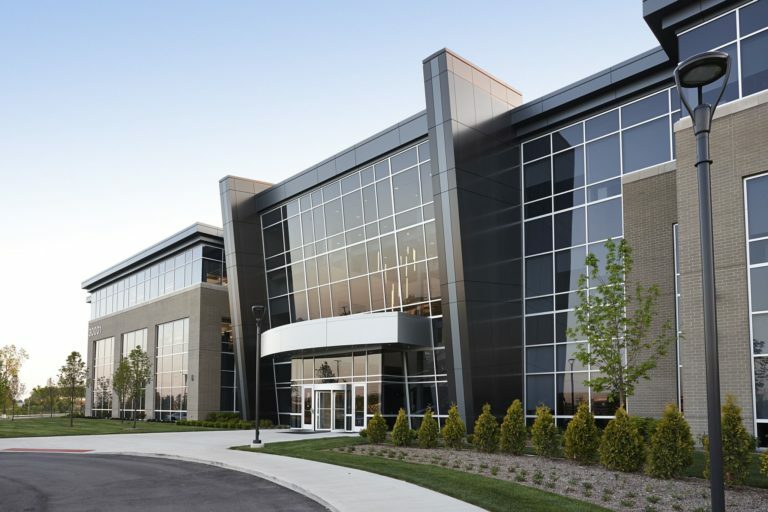 Glazier Crystal Glass, Inc. selected Glass + Mirror Craft to deliver a series of structural insulated glass walls that wrap the new Harman Becker building, located in Novi, Michigan, as a bold statement. project with insulated glass that would both perform and make a statement. To meet required thermal properties and yet still deliver stunning aesthetics, Glass + Mirror Craft recommended efficient insulated glass in a striking brown finish for the whole building. Throughout the project, Glass + Mirror Craft maintained a precise fabrication schedule that ensured quick and predictable product release so no units were left sitting on the job site. G+MC also kitted the glass to further speed workflow, which allowed all the IG units to be installed in less than two months. Impressed with this performance, Cunningham-Limp Development Co., in Novi, Michigan, has since made G+MC a preferred supplier.